If you’re a history buff as well as an individual who also happens to be into knives, this article is for you. As should be apparent by the title, it’s my goal to reveal many of the modern day instances where these two passions intersect. 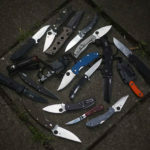 There are actually a considerable amount of knives, still in production, that have been around for years upon years – so long that they’ve made their mark upon history, even though they’re still completely accessible from a consumer perspective by being sold in regular stores across the world today. Elise had the idea to do up an article like this the day after we hit publish on the Douk-Douk review. 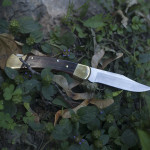 While there aren’t many knives that are as historical as the Douk-Douk, meaning not many of the knives on this list have had the historical impact, reputation, or have even lived close to as long as the Douk-Douk has, these knives have lived a great deal many years more than you would probably expect a knife design to. Under each and every knife on this list, I’ll write a little blurb about the history of the knife. I haven’t written the longest descriptions of the history, because I figured you could take the time to research more on a knife if you were really into it. Each knife on this list is unique in that it takes a slice of the past and places it in your hands. 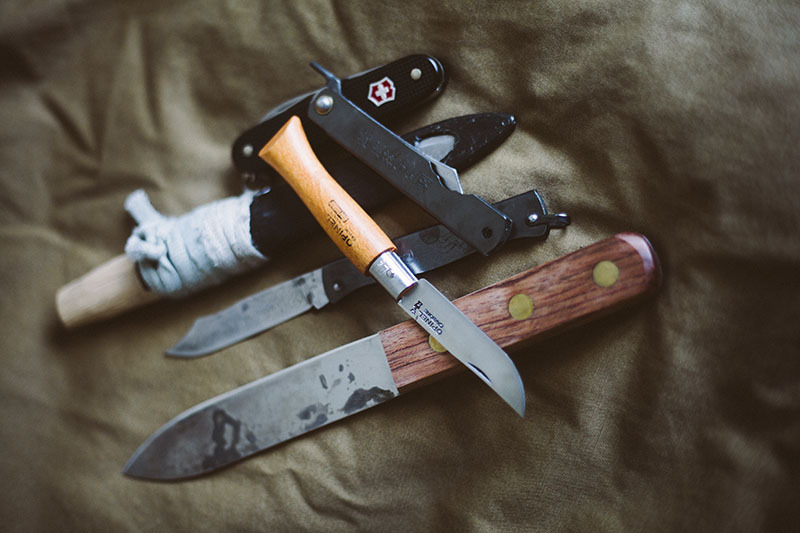 The knives are all quite different, some being folding pocket knives, others being outdoor tools, and still yet knives with a tactical purpose. 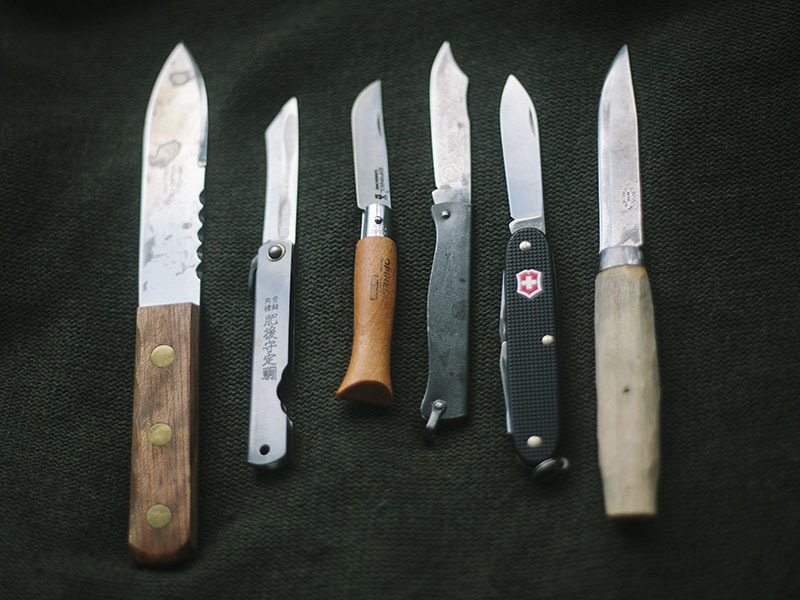 There are knives from many different countries around the world included on this list. Yet one of the things they all have in common is that they’ve all attained ubiquity to some degree or another, which is why they’ve managed to stand the test of time and stay in production until today. Quite an incredible feat if you ask me. 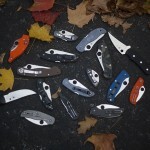 What’s also remarkable is how affordable the vast majority of these knives are – many being around the $30 price point. For prices like that, even if you aren’t the most adamant of history buffs, you can still have a really reasonable collection of historical knives amongst a bigger collection of knives. Regardless of whether or not you’re in it for the collecting aspect or not, it’s interesting to learn about the history of these knives from the perspective of knowing your knife history. Modern knives are amazing tools, there’s no denying that, but how we got there is, to me, just as fascinating as the actual modern knives are – if not a little bit more fascinating. Looking at these knives, you can really see how the past was molded to create the over-optimized world of production knives we have today. As a side note: some historical knives I know of I have purposefully gone without listing. 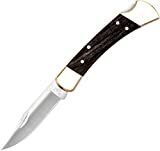 Knives like the Schrade Old Timer, which I’ve not listed considering the fact that it’s no longer made in the USA, which to me is a huge let down and an insult to its legacy. Nothing wrong with modern knives being made in the East (my 2 cents), but an American classic should stay in America, or else it’s not really an American classic anymore. I also blurred the line between model and pattern, including both types of historical knives in the list below. For example, the Victorinox Soldier is a model that has been in production for many, many years, but the design (pattern) has evolved in that time. On that same note, the Barlow pattern is a very old design that is currently made by new(ish) companies like Bear and Sons. Yet they’re both historical, though as you can see, in different ways. 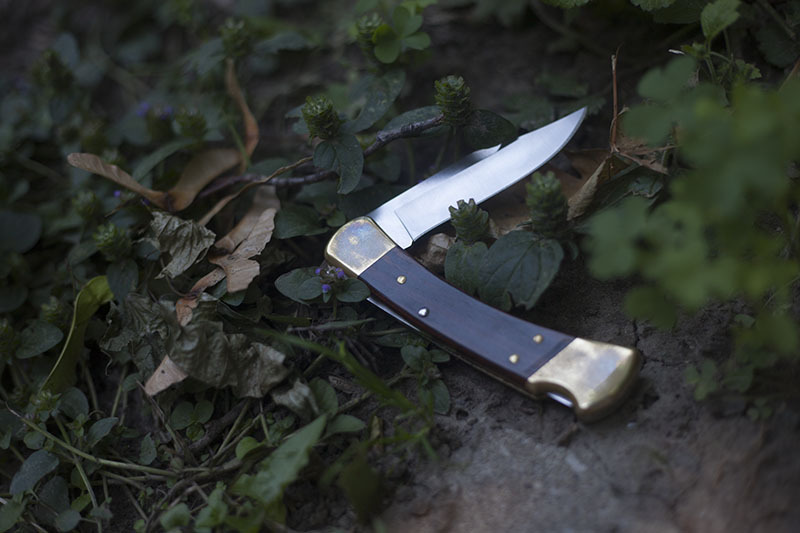 What constitutes a historical knife is a topic that could be debated for years on end. 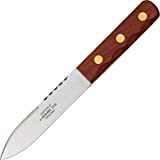 I know that compared to the mighty Opinel the Ka-Bar marine knife is a mere toddler, but I think its historical significance is worthy of note and thus I chose to include it in my list. I know a lot of this will be extremely subjective, but bare in mind that these are my own thoughts on the best representation of currently available historical knives. Alright – without further ado, let’s begin! These little frictions folders have been around since 1896. Historically, Higonokami knives were used as run of the mill inexpensive EDC knives, popular with both schoolkids and adults alike. 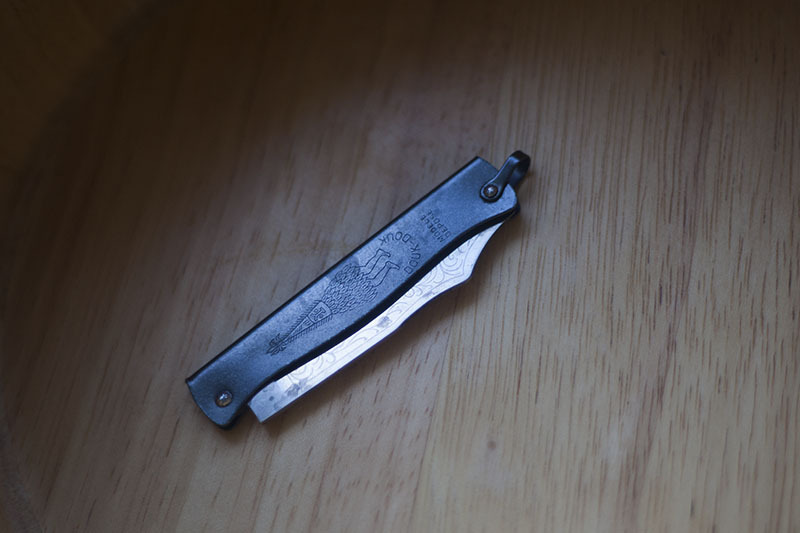 The austere manufacturing and lack of complexity helped the Higonokami survive the lack of steel available during WWII, solidifying its position as the standard of Japanese folding knives. Interestingly, Japan has some of the harshest knife laws in the world, and so carrying a Higonokami out and about is quite problematic today. Its continued (relative) popularity is due to the knife aficionado community as opposed to its appeal as a mass-produced, inexpensive tool. I have extremely mixed feelings about the Higonokami. Its style is unique and the steel is above average (usually a high carbon steel, similar to what would have been used in 1095), but the roughness of the finish does put me off somewhat. My particular example is a legit Japanese Higonokami, and the grinds are less than even. Nonetheless, its cutting performance can’t be debated, and I can’t dream of having a collection without one – especially since being back in the UK means I have a limited amount of knives available to EDC. Super simple construction friction folder made of 3 parts: handle (1 piece of folded steel), pivot, and a blade. Can’t get much more old school than that! You all knew it was coming. No list of historical knives would even be close to complete without talking about Opinels. The Opinel has been production since 1897: quite a long time if you ask me! I actually own their limited edition “1890” model, with its sterile beeswax handle and no locking ring. Never actually used it because of its rarity, but it’s nice handling a sliver of history that actually performs well. Opinel is still family-owned, which is rare in this business, especially taking into account how long the company has been producing steel. It should be noted that the newer locking Opinels have “only” been around for 60 years give or take. Historically Opinels only came in the form of friction folders. 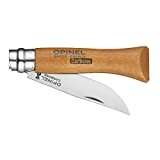 In any case, I view Opinel’s as the folding equivalent to the Mora knife from Sweden. Whilst the root of the Green River Knife can be traced back to Sheffield, England, like the one I’ve featured in my example, its colloquial name can actually be traced back to Green River Works, established in 1834 in Green Field Massachusetts, US, and founded by John Russell. I recently snapped this knife up: the grinds are average, the handles are average, the styling is average, but the historical significance as a trade knife in the Old West is legendary. Personally, I love it. If you get one, work on the handles with some sandpaper for the sake of your poor hand should you wish to do some serious work with it. Its like holding an oversized lego brick with weird dimple cut outs on a single side. Definitely the kind of knife that does considerably better with a little elbow grease. Arguably the most utilized tactical knife in terms of lethal application in all recent history, the Douk-Douk is a colonial knife with a bloody past that has now been adopted by lovers of small, inexpensive slip joints the world over. I mentioned this in my review of the Douk-Douk: in Northern Africa, “Douk-Douk” became synonymous with “knife,” as it became quite ubiquitous. It was most heavily used in the French colonies of Northern Africa, though its origins are older, originally used by colonies in French Oceania. The engraving has to do with the Melanesian incarnation of the spirit God of death and destruction: very cool if you ask me. The Douk-Douk is still made in France to this day – in Thiers. Since 1929, Cognet has cranked this knife out in stupendous numbers. The Douk-Douk is probably my personal favourite option for a world legal EDC; it’s not the kind of knife that’s just good looking, it’s also very practical in use. I reckon the Mercator is the German equivalent to the Opinel. This knife has been produced since 1867, and honestly reminds me of the Douk-Douk aesthetically due to the folded sheet metal construction. Unlike the Douk-Douk, the Mercator features a lock back, rather than a slip joint. Mercators were made by a bunch of different companies in the past, but are now exclusively produced by Otter-Messer. Some of you have suggested I review this one and I will 100% get ’round to it, despite not being able to legally EDC a locking blade. It’s easy to say something is old or steeped in tradition, but this knife is on another level when it comes to all this “old” business. Opinels are old… Laguioles are old, but are either of these knives 15th century old? Hell no. Nontron knives, on the other hand, certainly are! These blades are still being produced in the same region they originally were – made by multiple generations of the same family: by hand! 500 years. Think about it. Did your brain almost explode? I owned a “violin” model of the Nontron in my youth. Currently don’t own one, and I must admit I forgot all about their existence until writing this article, but now that I’ve surfaced this ol’ memory, I think I will have to rectify the situation by getting my hands on one again. 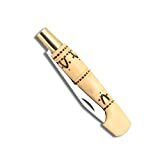 I find it a touch odd that Nontron have been forgotten about despite being so much older than Opinel, but I guess the slightly higher price point (taking into account the methods used in construction, I think it’s fair) and lack of advertising have made this ancient tool a relic of the past – at least as far as the internet is concerned. 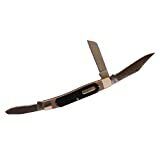 Anyone ever read a review of this knife? Not that old (roughly 75 years old), but in my opinion, the Ka-Bar Marine Corps Knife is a true classic. In my youth, this was the ultimate knife to have (not that anyone I knew ever owned one) based on movies and its own legend. The Ka-Bar Marine Knife was designed exclusively for the USMC as a fighting and utility knife for the U.S. Marine Corps during the second world war (in 1942 to be precise). What a cool design that has now become ubiquitous as the standard for combat knives. To this day, the Ka-Bar Marine Knife is made in Olean, N.Y. The classic knife from Mora in Sweden! Primarly manufactured by Frost, but you can find Mora Classics from other manufacturers too, like my old one from E. Jonsson. The classic Mora has a wonderful barrel handle that is ergonomic no matter the grip and possibly the best woodcarving blade for general outdoor use (my opinion). Taking into account the price its adoption by the bushcraft community is understandable. Also known as the Sami knife, the Scandinavian Leuku was traditionally made for the Sami people of Finland. 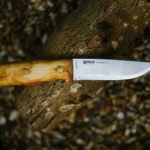 Basically used as an all-round camp knife, there isn’t much it can’t do outdoors, and taking into account the brutal environment of Finland, its size and power makes a lot of sense. From chopping down firewood to butchering Elk, this is the textbook definition of a survival knife. Comes in all sizes (some are basically small swords) by all sorts of different manufacturers (at many different price points). 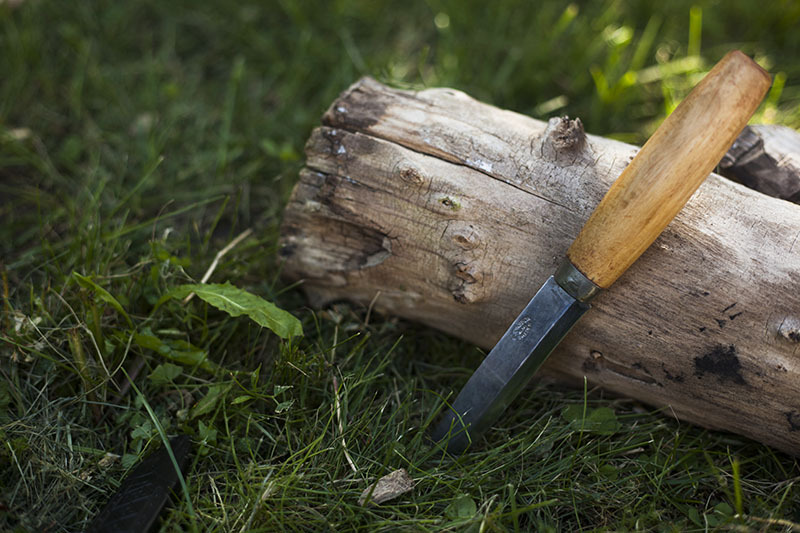 As far as availability goes, the Helle version is probably the most attainable. 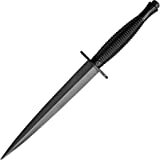 The Faibairn-Sykes Fighting Knife is a dagger designed by William Fairbairn and Eric Sykes in the 1940s by adapting a weapon from shared experiences on the streets of Shanghai, China. It’s definitely one of the most intimidating knives that I can think of, and its reputation as the covert weapon for the British Special Forces doesn’t do much to change that! Made by Wilkinson Swords in the UK and used by pretty much all Elite soldiers from British commandos to U.S. Marine Raiders and the Canadian Infantry during World War 2, this knife has quite a cool past. Bear & Son 2281R Rosewood Barlow Knife, 3 1/2"
I know it’s not a Gardner, but I think Bear and Sons do a faithful rendition of the Barlow Pattern. Whilst it was originally a British design made in the British capital of steel (Sheffield, since the 1670s), it has without doubt become an American classic. 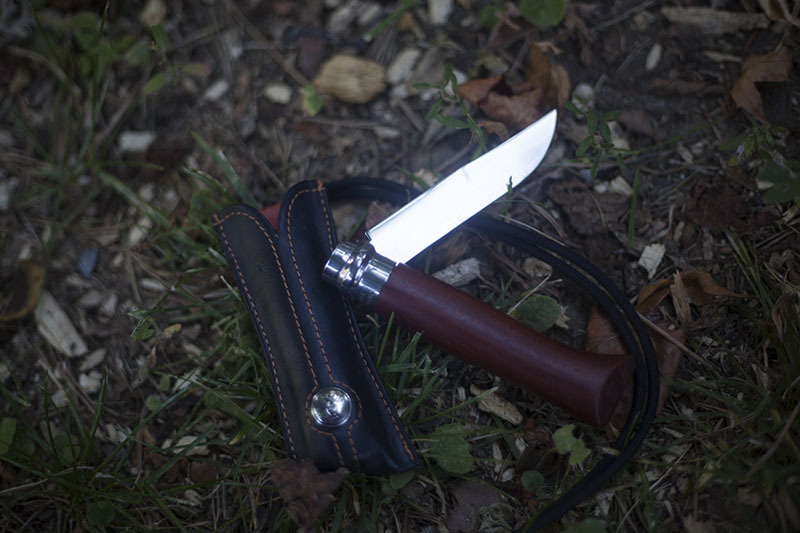 Like many knives from the old world, it found its way across the Atlantic to the south on the colonial trade routes, and its quite easy to see why – a versatile teardrop handle, and clip point blade, all for an affordable price. Barlow knives were featured in many pioneer pockets (as well as regular farmers) for very good reason. Like many other famous knives (the French Douk-Douk, South African Okapi, etc.) its name became synonymous with “knife” amongst the local populace. Being only 52 years young makes the Buck 110 not technically as venerable as many other knives on the list. That being said, in my mind, it’s a true classic with no equal in the modern world. Probably my first grail knife as a kid. In Europe, it was extremely expensive and not the sort of thing you would see anywhere besides behind glass in your local hunting gear store. Cannot overstate how badly I wanted one, and when I first snapped one up in Canada 4 or 5 years ago, it really brought back a lot of fond memories. The Buck 110 has been around for over 50 years, and I honestly can’t see it being discontinued. Ever. The true American classic as far as I am concerned. Historically made in Germany (in 1902) for its African colonies, the Okapi knife is to this day made in Africa using the original tooling they imported from the original factories in 1988. The construction, whilst rustic and unfinished, is surprisingly tough with its odd ring pull lock. Cold Steel did a modern version called the Kudu (which I reviewed here), with plastic handles and modern metals. The original handles were made of cherry wood and the blade 1055 steel. Mikov has been around since 1794. These days, they are famous for making badass autos, but the old school Mikov Fish Pattern (known as the “Rybi?ka”), has been around since the early 20th century, and is favoured as a tool for mushroom picking, which the internet informs me is a traditional Czech hobby. Super unique design made by a very interesting company. Check out their automatic knives, too. Badass classic tactical blade from an equally badass country. 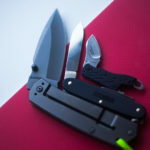 Did you think I was going to let this list finish without throwing the classic Victorinox Swiss Army Knives onto the list? Hell no. Since 1884, Victorinox has been cranking out utility knives for the armed forces in obscene numbers, and whilst the design and materials have changed considerably over the years, I think its incredible that for 130 years+ they are still the preferred utility tool for the Swiss military (and now German too!). Historically, they were not called Swiss Army Knives but rather “Offiziersmesser.” The Yankee soldiers found it a smidgen hard to pronounce (understandable) and coined them Swiss Army Knives. The rest, as they say, is history. 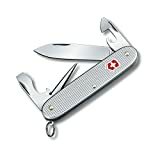 The term “Swiss Army Knife” is now a registered trademark by Victorinox, although Wenger also made them before Victorinox bought them out in 2005. Some more Swiss Army Knife trivia: the first Swiss (made) Army knives were made by Karl Elsener, and known as the Modell 1890. In 1909 when Elsener’s mother died, he changed the name of his company to Victoria (after his mother) and Inox from the French word for stainless (Inoxydable) creating the company name so well known worldwide: Victorinox. 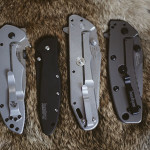 Regardless of your own personal feelings for Swiss Army Knives (Elise hates them for some reason), they are truly unique in the cutlery world, and to this day are widely known for what they are: fantastic utility tools with impeccable fit and finish. Did I miss any knives you think should be on this list? Have any or all of the above? Want to grab any now that you know the historical significance? 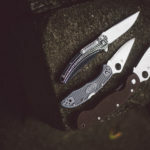 There’s a few knives on this list that I don’t yet have, but that I’ll definitely be getting a hold of in the upcoming months. How about a Balisong from the Philippines? I know the design was probably European influenced. Can’t legally import it here, sadly. My I suggest the very beautiful laguiole pocket knife. Very sleek and smart. I love a nice Laguiole and its definitely something I will take a look at with its own article. Yeah you forgot the Okapi ratchet knife and the italian stiletto. And the the navajas of spain. Didn’t forget, I just don’t own any and I generally have a reticence when it comes to discussing knives I have never owned. That said, A Navaja & a Stiletto are very high on my list, do you have any recommendations? You can still buy “Classic” Mora’s from Morakniv, great everyday tools. That Puukko looks awesome, especially the “KLIFFA ASKARESPUUKKO”- very good price for what looks like a very versatile blade. 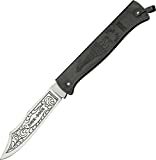 Very nice, though a few iconic knives were left out of the list, the 1st being the M-724 rescue knife, it is probably one of the most recognized knives-switchblades with over 60 plus years as an active military and for the 20 civilian knife as well. Never personally handled one but I have seen a bunch of youtubers talk about them. Definitely iconic! For an even older knife pattern from France check the capucin ( couteau capucin). It’s now in production made by cognet ( douk douk) but in the local region of the pyrenees it’s still made by hand. Back in the days farmers and goatherds would by the blade and two nails and fashioned the handle themselves. Awesome article. I love the old patterns. They were designed for real work You can’t beat em I wish some of the case designs like trapper canoe and sod buster were old school because I love them but that’s not what this was about. What about the Bowie? Probably to big? I considered adding the bowie but the lack of clear “manufacturer” that was around back then and still is now is why I left it off the list. Probably the most iconic American knife though! Excellent article !!! I have a few of these now I want the rest !!! Thanks for the support Dave, I appreciate it. Great list, and a fun read! I’d add the “Official Boy Scout” pattern knife- Main blade, can and bottle openers (screwdriver tip), awl, and lanyard ring. Licensed under a few different manufacturers over the years, and many “unofficial” copies of the pattern. 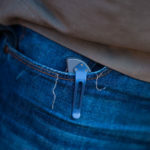 This is an incredibly useful design, and one that was likely the first knife of millions of boys, accompanying them on all sorts of outdoor adventures. Aye, its an awesome knife to be sure, with a steep history. My very first knife was a “Boy Scout” style knife made by a company called Pradel. I would have added the Peasant knife, but totally approve of your list. THe Peasant knife is a damn handy knife with a unique design. They’re from New Zealand, and are made by Svord. Like the others, the pattern is very old based on models used in Bohemia and Bavaria 300 – 400 years ago. The wooden handles are a bit rough, but I sand mine down and use Boiled Linseed oil and it’s a great knife. The handles also come in plastic and various metals. In expensive and they come in a variety of sizes as well. 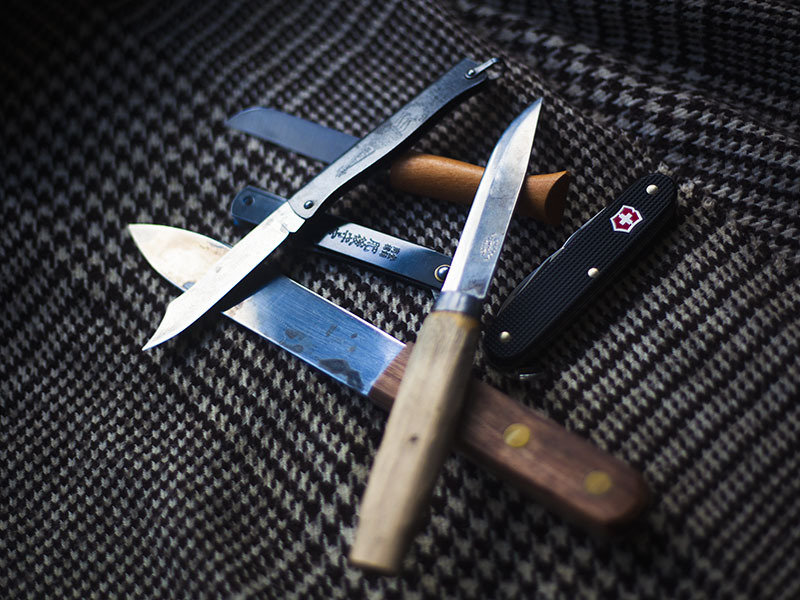 No Case brand knives such as the trapper or stockman to name a few? Case is a world renowned knife maker and perhaps the most collectable brand ever and recently celebrated their 125 year anniversary. I avoided adding patterns due to a lack of traceable roots- who made the first trapper for instance? Hard to ascertain. With that said, I love my Case knives, especially the Seahorse Whittler and the Swayback Gent.